THE UNMISSABLE POP ROCKERS RETURN! 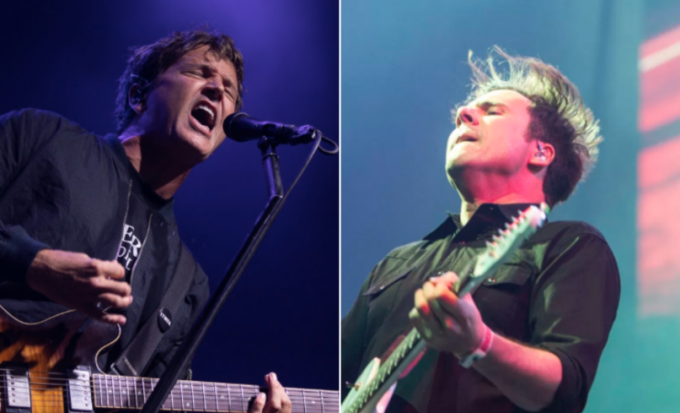 Back on their 2019 tour is the incredible, Third Eye Blind and joining them to co-headline this special date is Jimmy Eat World… as they both stop off at Stage AE on Saturday 20th July 2019 – together they are more than ready to craft a night of pure entertainment for their fans! Get ready to be blown away – tickets on sale NOW! "In other words, pretty much everyone likes Third Eye Blind. That makes sense, because while the band is often lumped under the "post-grunge" label, there is no real "scene" attached to Third Eye Blind. The catalog is as much rock as it is power pop with flecks of emo and even hip-hop. In that way, this act is timeless." With a long string of releases, the American rockers, Third Eye Blind have transformed the music scene, hitting the top 10 charts on several occasions with songs such as; Semi-Charmed Life, Jumper, How's It Going to Be, Never Let You Go and more. The San Fran group first came to light in 1993, with the songwriting duo Stephan Jenkins and Kevin Cadogan, they found their success in the late 1990's. Now in 2019, they have sold over 12 million records worldwide and have proven more than once that they know what goes into crafting the perfect album. The Arizona rockers, Jimmy Eat World first took to the stages all the way back in 1993, with lead guitarist/lead vocalist Jim Adkins, drummer Zach Lind, rhythm guitarist/vocalist Tom Linton, and bassist Rick Burch. Together they have formed a breakthrough success of a group and have been rocking it out on the road for the last 25 years and counting! With hit albums such as Bleed American, released in 2001, they made their way onto the Alternative charts and in 2004, they did it again with their single "Pain." But it wasn't until their 2007 release that they pushed the boundaries and peaked at number 5 on the billboard top 200 with their album, Chase This Light – becoming their biggest selling record of their entire career! In recent years they've made the return with their ninth album, Integrity Blues and are now touring to promote, along with bringing their biggest hits to the live stage.